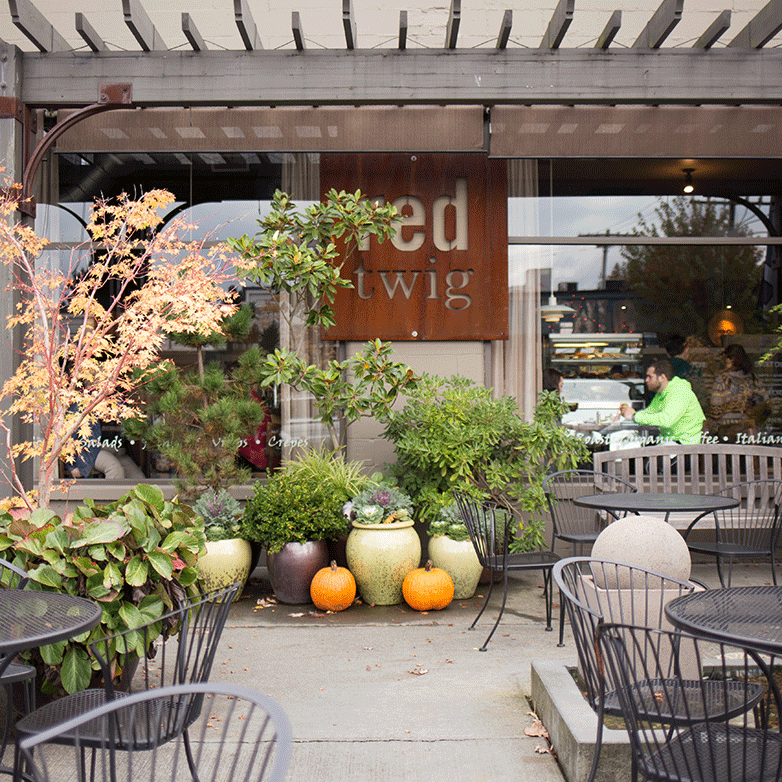 Red Twig Bakery Cafe, located in the heart of downtown Edmonds, serves breakfast and lunch daily. We proudly roast shade grown organic coffee on premise and bake our own pastries daily. Please join us for a cup of coffee, breakfast or lunch, seven days a week. Whether it's breakfast or lunch, we offer our customers freshly made salads, soup, crepes, sandwiches and a variety of beverages, beer and wine. Free WiFi is available.